Counters that virtually set themselves up! Our portable and collapsible counters for events will help you to set up your stand. 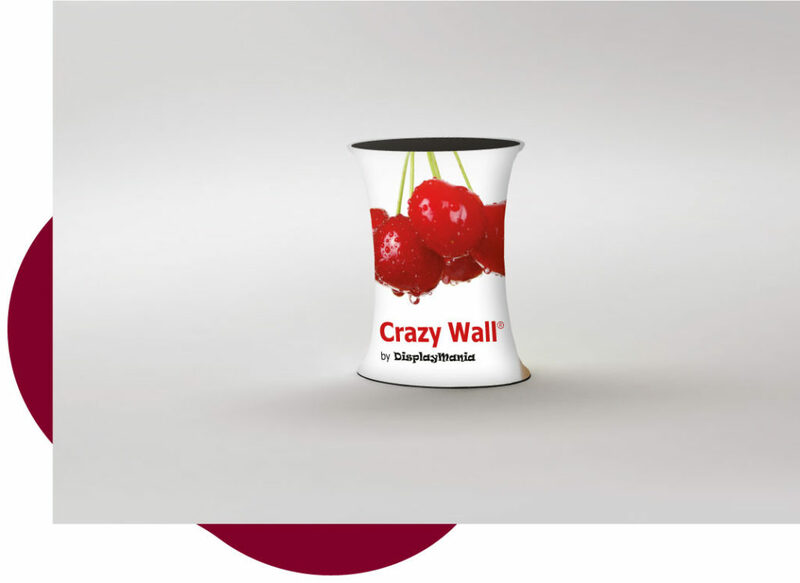 The Crazy Wall fabric counter can be personalised for every occasion.